Now this candle, I could not resist purchasing. I don’t think I even read the scent description, I just bought it. Once I received the candle, loved!! The color of the jar was a deep red and the aroma from the wax… a sweet bakery strawberry. Super yum!! The irresistible fragrance of buttercream frosting made from fresh garden strawberries on a classic Madagascar vanilla cupcake. My theme word in this review – YUM!!!! Smelling the wax once more before lighting the wicks, I could 100% smell the buttercream frosting and it was too die for! The strawberry, very subtle and realistic. My mouth was watering. Time to find out how this candle performs!! I lit this candle in my master bedroom hoping I picked a good candle with no wick issues – that’s how much I wanted this candle to be perfect. The scent… so mouthwatering but very very light!! Once lit, it took a good 15 minutes before the candle reached a full melt pool and once it did, the subtle scent of buttercream and strawberry cake filled the area around the candle. Just around the candle. I was SO bummed about that. I liked this fragrance so much, I was hoping for room saturation strong and unfortunately, that did not happen. Strength – on a scale of 1 to 10, I would rate this candle a 5 in a large room. 6 or higher in a medium room. A small room would be the ideal place to burn this fragrance if you’re after strength. I may try that down the road if I purchase this scent again. This review started out so promising and ended in pure disappointment. 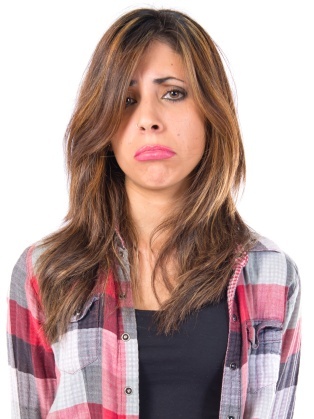 I am so completely bummed!! The scent itself… mouthwatering!! 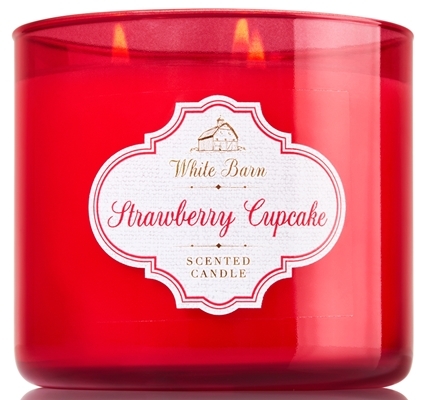 Out of every strawberry cupcake scent I’ve tried and I’ve tried many, this was by far THE most realistic one I’ve ever smelled. Ever! It was a perfect strawberry cake (that didn’t smell fake) with oodles of rich buttercream frosting. The strength unfortunately… very subtle and light. At least it was for me which is so strange for a White Barn candle. They’re normally really strong. I loved this fragrance enough that I will likely purchase one again to see if I get the same result. Maybe I won’t. You never know…. Even though this candle was lightly scented, it still rates high since it met all the criteria we look for when reviewing a candle. Presentation was great, it was beyond authentic and burn performance was perfect. Have you tried Strawberry Cupcake from White Barn? If yes, was it lightly scented for you as well? Review it with us. In the comment section below, review and star rate your experience… it’s easy!